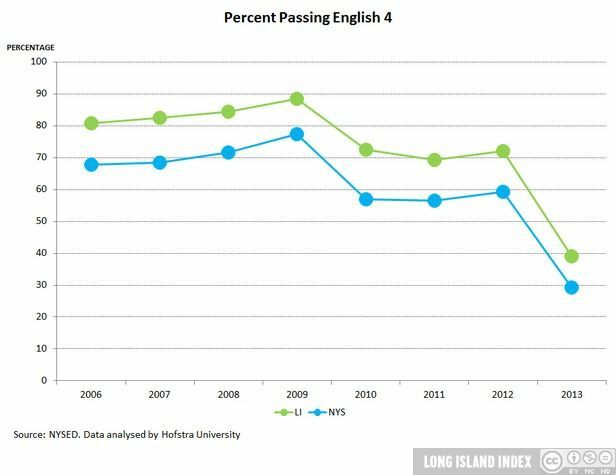 Overall Long Island schools’ 4th Grade English Language Arts performance results exceed New York State. The gap between low-poverty and high-poverty schools, narrowed until 2009, but has since increased. 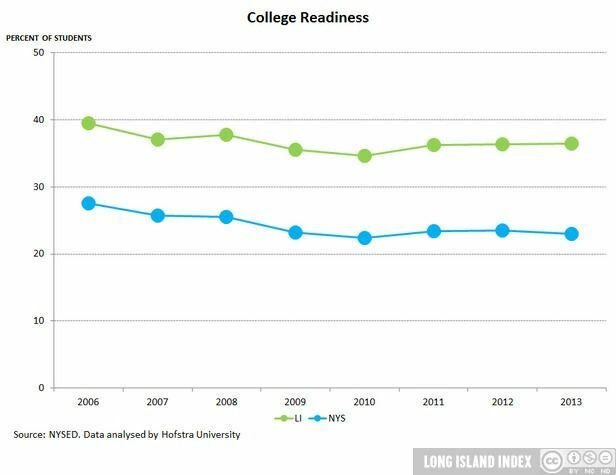 8th Grade Math results continue to exceed New York State. Performance for high-poverty schools improved until 2009. Dramatic declines were seen in 2013. 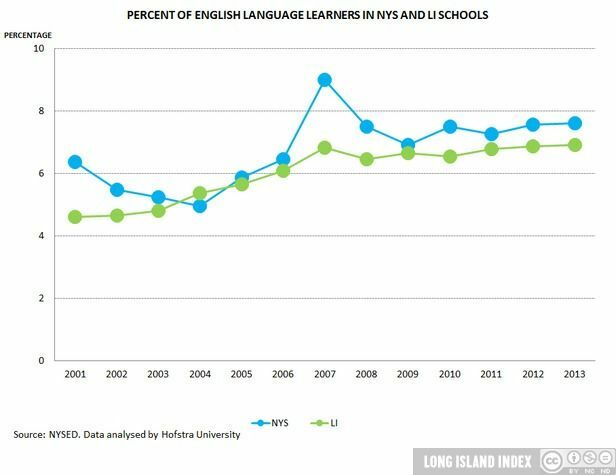 Students with Limited English Proficiency are disproportionately taught in high-poverty districts. 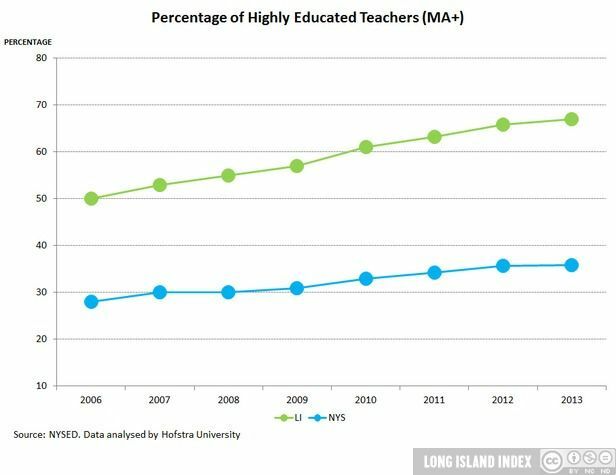 The racial and ethnic composition of Long Island schools is also noteworthy as Long Island remains one of the most residentially segregated areas of the United States. 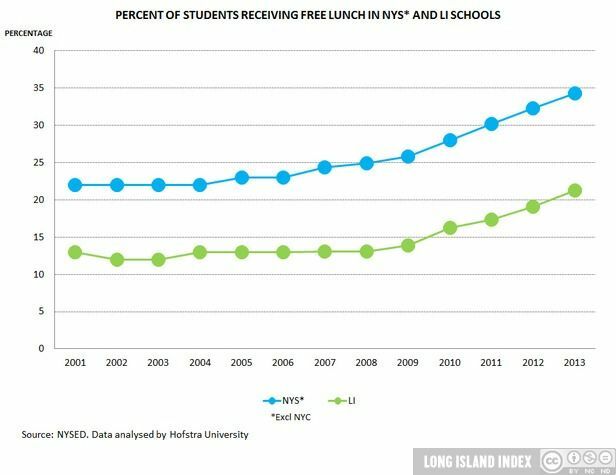 While overall poverty levels on Long Island are lower than NYS as a whole, poverty in Long Schools is increasing.